West Ham stunned Arsenal on Saturday as Manuel Pellegrini's side secured a narrow 1-0 win over Unai Emery's men. The victory handed the Hammers their first home success over the Gunners in 13 years, as West Ham's intense application and greater sense of purpose overcame a lethargic Arsenal side at the London Stadium. Three points for West Ham continued to build the steady progression made under Pellegrini in east London this term, whilst the Gunners once again paid for their struggles on the road. Marko Arnautovic dominated many of the pre-match headlines ahead of Saturday's clash, both in terms of his fitness and his future. Doubts had lingered over whether the Austrian would be physically up to scratch in time to face Arsenal, having limped off with an injury during West Ham's 2-0 victory over Birmingham in the FA Cup last weekend. Reports of interest from China came up during the week, and though Arnautovic passed the fitness test on Saturday, the Austrian provided more than a hint that his head has been turned elsewhere. 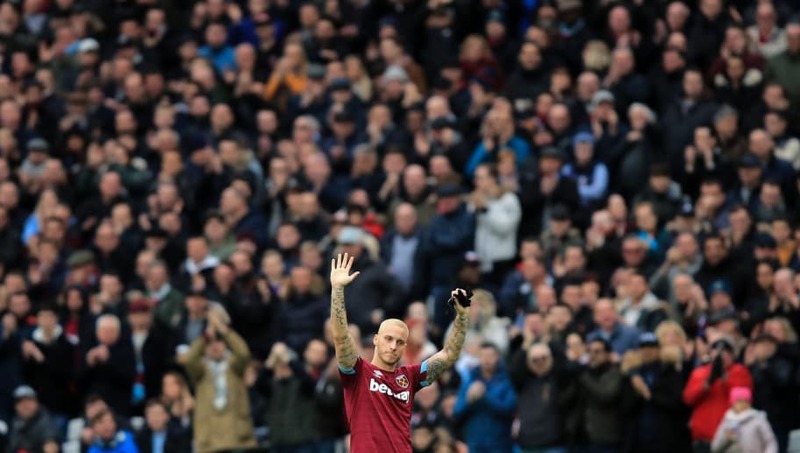 His notable applauding of the home crowd during the game suggested that his time at West Ham might just be up, as the Hammers' star man appeared to wave goodbye. 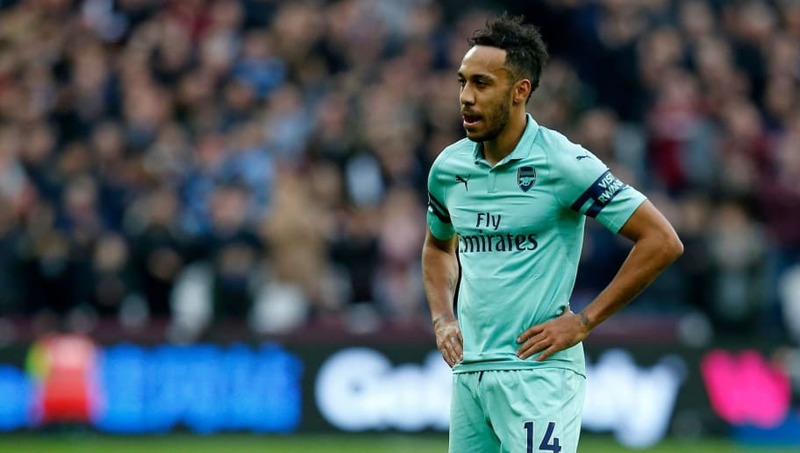 Much of Arsenal's winter period has been blighted by a typical flurry of injuries which saw Emery's 22-game winning run come to a grinding halt. The recent 3-2 defeat away to Southampton, for example, was largely a consequence of a raft of defensive injuries, with the likes of Laurent Koscielny and Shkodran Mustafi struggling for fitness, whilst Rob Holding was ruled out for the season. However, all but Holding, Danny Welbeck, Henrikh Mkhitaryan and Mesut Ozil were available for the Gunners on Saturday, meaning that injuries could no longer be blamed for the defeat. Emery had plenty of options to choose from in all areas of the pitch, but his side appeared lethargic and short of any real cutting edge to turn the tie in their favour. 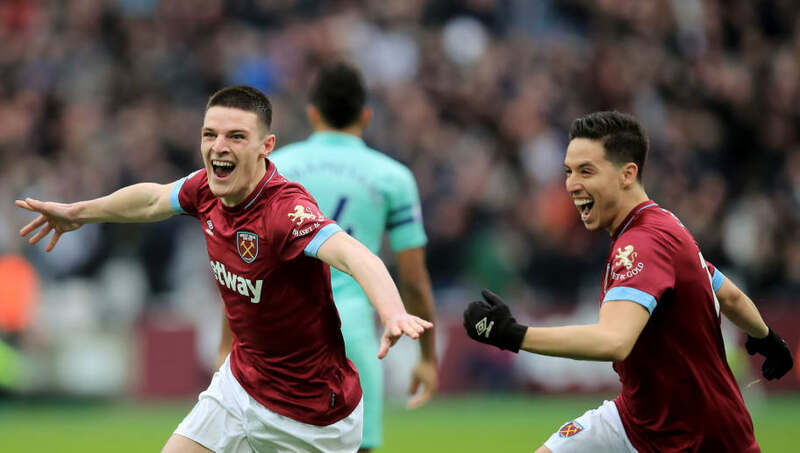 With Arnautovic seeming to edge his way out of the picture at the London Stadium on Saturday, Declan Rice proved that he is a real star in the making who is at West Ham to stay. 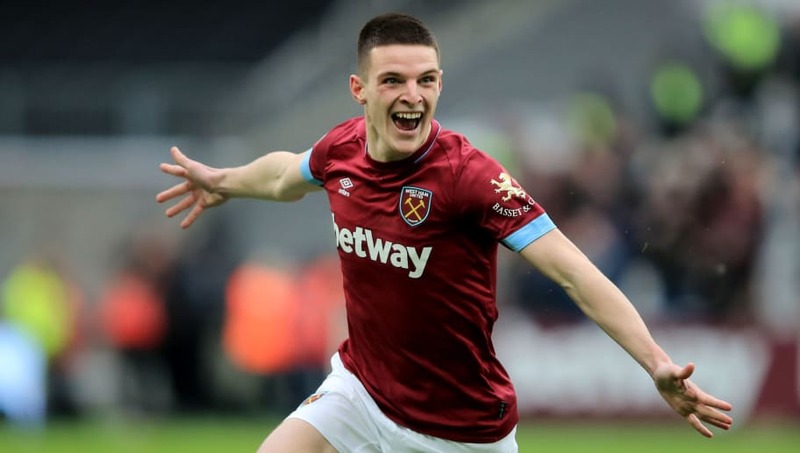 The young midfielder recently signed a new long-term contract with the Hammers and turned in one of his finest performances in a West Ham shirt to date against Arsenal. His winning goal was just the tip of the iceberg, as Rice worked tirelessly to cover the ground in the middle of the park and even cover in defence to help his side in stifling Arsenal's attack. 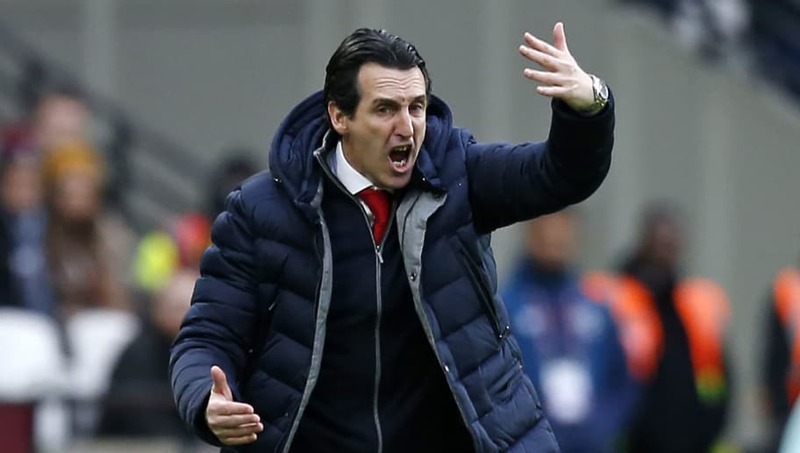 Arsenal's steady progression under Emery this season has endured a number of blips along the way, with Saturday's defeat at the London Stadium coming as the latest reminder of how much work the Spaniard still has to do in changing the Gunners' fortunes. Most concerning is the north London side's struggles on the road. The Gunners are without a win in their last five away games in the Premier League, having lost three of those outings. Arsenal's performance on Saturday was a general improvement from recent outings on the road, but the Gunners still fell victim to their own lack of cutting edge to capitalise on their dominance in possession, whilst a defensive error cost them another decisive goal.